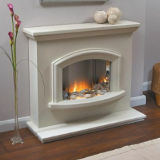 Free shipping and promotional codes to make savings on Kitchen Appliances, Fireplaces and Stoves at thegassuperstore.co.uk. The title doesn’t quite tell the full story at The Gas Superstore with much more than gas appliances available from their extensive range of products. There are appliances, large and small, fittings for the home, gas fires and accessories that compliment the range at competitive prices. Free delivery is available on everything without the use of a code plus regular discount codes and coupons for money off the entire range. Includes free delivery on orders. The offer applies to Bertazzoni and Britannia Hood purchases. The offer is valid on selected Falcon and Faber appliances. The offer is valid on selected Liebherr, CDA, Flavel and Celsi appliances. down from here uncovers a list description of subcategories or you can choose your products by brand if you prefer. When you arrive at the specific category page all the products are listed by ‘best sellers’ order by default, which can be changed to A to Z, low to high or high to low pricing depending on your preference. One great feature of the Gas Superstore site is the tabs that lead users directly to the discount code page not often found on other sites, showing they want to give customers the opportunity to save money depending on what you spend. Clicking on the ‘new coupon codes’ or the ‘voucher codes for multiple purchases’ tabs takes you directly to the discount code page. Using a discount code on Gas Superstore is easy; simply follow these steps to big savings. Pick a code from the selection on this page which will automatically open the Gas Superstore online store. Copy or note down the code for use when completing your purchase. Add your products to the basket as normal but consider if you have spent enough on your purchase to redeem the code by checking any terms and conditions. Once you’re ready to complete your order, proceed to the checkout. If you are already registered with the Gas Superstore then log in, otherwise complete the billing address section and shipping method. Now you’re ready to add a discount code, paste or type it into the coupon code box and click ‘apply coupon’. Remember to select any special requirements such as removing packaging, recycling your old product and 2 man delivery options. You’re now ready to complete your purchase by selection your payment method paying by card or Paypal. The Gas Superstore operate a number of social media pages where you can keep up to date with the latest products, exclusive discount code and promotions and chat to other customers to share their shopping experiences. We’ve put together some links to help you find the correct social pages. Find the The Gas Superstore on Facebook and Connect with customers and take advantage of exclusive deals and offers. They also have pages on Google+ and Twitter to connect with their circle of followers and keep up to date with the latest products or to follow the latest trending tweets and pick up short term promotions and product links. The Gas Superstore deliver every day, so for stocked items you will get your order delivered the very next day for free if ordered before 10pm. If you can’t wait then just order before 2pm and you can enjoy free delivery the very same evening, completely free of charge. This service is restricted to most Midlands postcodes. For those who work full time or are unavailable during the week then you can use the weekend delivery, again free of charge. All the delivery services come with 3 hour time slots for total convenience. Goods can be returned within 7 days of purchase under the distance selling regulations but will incur a return delivery charge, check the full terms and conditions for details. Faulty good can be returned free of charge.